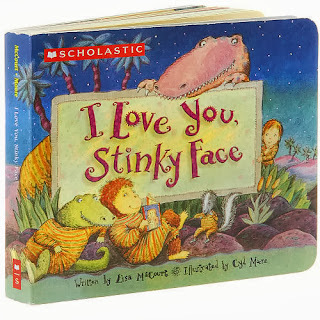 I love that I Love You, Stinky Face is available in sturdy board book form, so totz can hang onto it, carry it around, and perhaps even chew on it a bit. Mama said, "I love you, my wonderful child." But I had a question. Mama, what if I were a big scary ape? 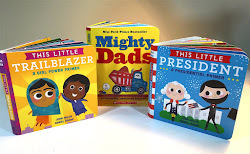 What a wonderful beginning, sure to engage totz! 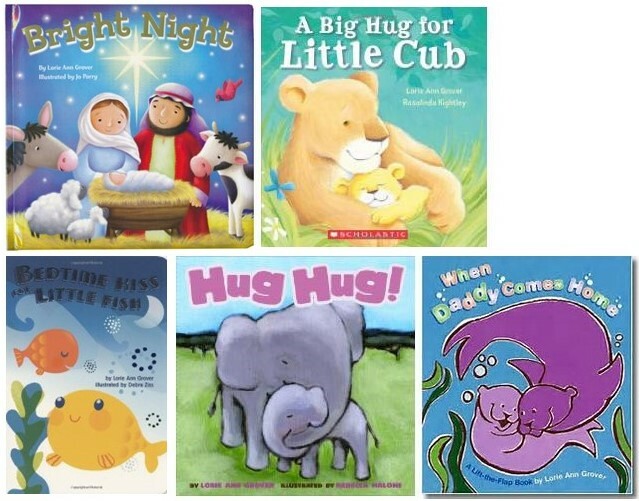 The child in this book continues to pose similar questions to mom, who continues to reassure him. Expect totz coming up with their own ideas of hilariously horrible creatures they might become to test the strength of their parents' love.